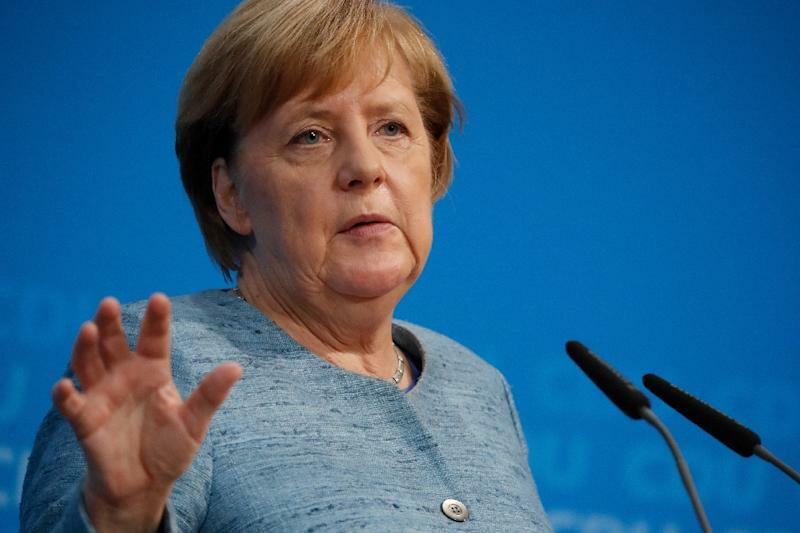 Berlin (AFP) - German Chancellor Angela Merkel said Sunday that Berlin would not export arms to Saudi Arabia for now in the wake of dissident journalist Jamal Khashoggi's violent death. "I agree with all those who say when it comes to our already limited arms exports (to Saudi Arabia) that they cannot take place in the current situation," she told reporters at her party headquarters. Her foreign minister, Heiko Maas, had already said on Saturday that he currently saw "no basis for decisions in favour of arms exports to Saudi Arabia". Merkel reiterated that she condemned Khashoggi's killing "in the strongest terms" and saw an "urgent need to clear up" the case. "We are far from seeing everything on the table and the perpetrators being brought to justice," she said. The Khashoggi case has opened a serious new rift with European partners Britain, France and Germany saying in a joint statement earlier that Saudi Arabia must clarify how Khashoggi died inside its Istanbul consulate, and its account must "be backed by facts to be considered credible". But it has faced a growing chorus of incredulity over its belated explanation that he died in a "brawl", as world powers demand answers and the whereabouts of his body.